September 5, 2018 2:40 pm. The Kris Lees-trained Graff will put an unbeaten record on the line in the Run To The Rose. Outright favouritism for the Group One Golden Rose will be up for grabs at Rosehill on Saturday when top fancies Graff and The Autumn Sun contest separate lead-up races. Chris Waller’s unbeaten colt The Autumn Sun will make his seasonal return in the Stan Fox Stakes (1500m) while Newcastle three-year-old Graff will bid to extend his undefeated sequence in the Run To The Rose (1200m). Owned by high-profile racing identity Alan Bell – whose best horses include Schillaci, Grand Armee and Deep Field – Graff resumed with an emphatic San Domenico Stakes win last month. It was a performance that prompted the usually understated Kris Lees to declare Graff the best colt he’d trained. And Lees has seen nothing since then to change that view. “I’d been quite pleased with him but it was a good field on paper and he put them away pretty well,” Lees said. “That turn of foot he showed two weeks ago, I’ve been seeing that for a while but he was probably just a bit raw in his first two runs as a two-year-old, despite winning. While Graff won’t clash with fellow Golden Rose favourite The Autumn Sun on Saturday, he will take on that colt’s stablemates Zousain and Performer who are also prominent in betting for the $1 million race later this month. The world’s richest race, The Everest, isn’t on Graff’s radar but at $51 he is rated an outside chance to earn one of the final vacant slots. “We’re concentrating on the Golden Rose so it’d be a surprise to see him there,” Lees said. 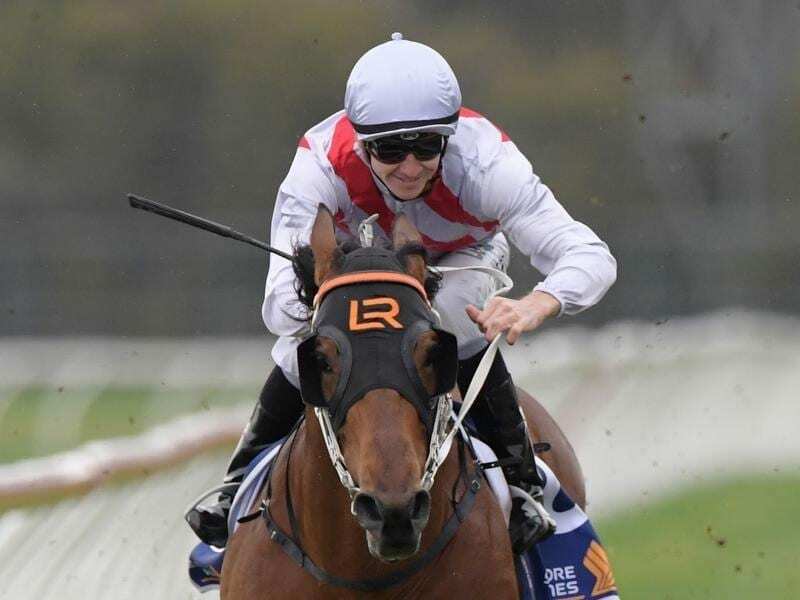 Graff has been left with 11 Run To The Rose rivals after Danawi was scratched in favour of the Stan Fox Stakes, while The Everest favourite Trapeze Artist returns in the Group Two Theo Marks Stakes (1300m). Lees will also saddle up handy mare Zestful when she races for possibly the final time in the Sheraco Stakes before a looming stud career. Zestful is one of six Rosehill rides for Brett Prebble who has returned to Australia following a long and successful career in Hong Kong.